Educating girls strongly correlates with reduced poverty, increased life expectancy and improved quality of life. We know that an extra year of education increases a girls’ income by 10 to 20 percent and it is considered to be a significant step on the road to breaking the cycle of poverty. Educated girls mean the chance of a better life for themselves and their children, a more prosperous community, a better workforce and a wealthier nation. Women reinvest 90% of their income back into the household, whereas men reinvest only 30% to 40%. Essentially, educating girls is one of the best long-term investments a community can make. Of the 17 million children in South Africa, 11 million walk to school. Only 40% of South African students achieve a qualification higher than Grade 9, and half of children who enroll in Grade 1 will never pass Grade 12. 1 out of 4 girls in developing countries are not in school and 38% marry before the age of 18. Some schoolchildren spend four hours getting to school and back daily. Of students walking to school, half a million in South Africa walk for more than an hour– up to 6km each way– thus impacting concentration and learning ability. A nation’s greatest resource for solving critical national issues in areas of national concern is in its talented and educated children. Unless the children are able to complete basic education during their development in elementary and secondary school years, their potential to assist the nation’s future hangs in the balance. One predominant reason for children not being able to access school in rural areas is the consequence of distance which discourages regular attendance and lower performance. 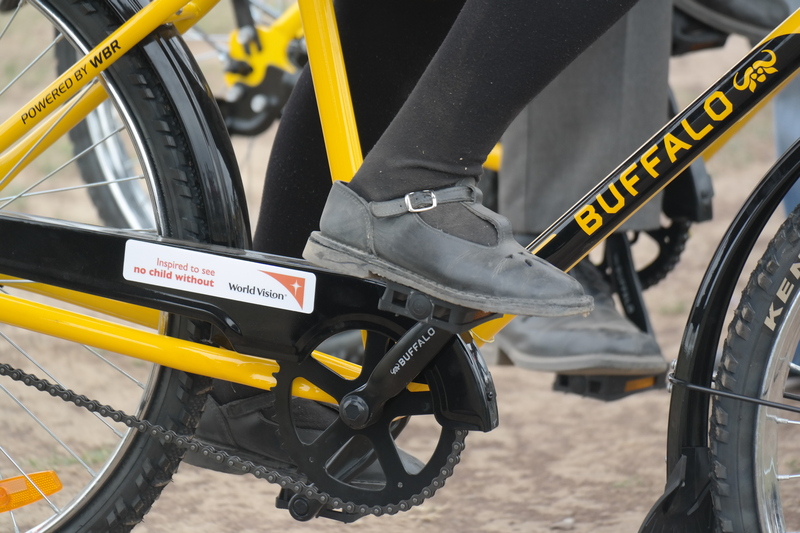 Qhubeka distributes bicycles to students, teachers and school volunteers to improve access to education, reduce travel time and improve educational outcomes. Students earn bicycles through study-to-own contracts. 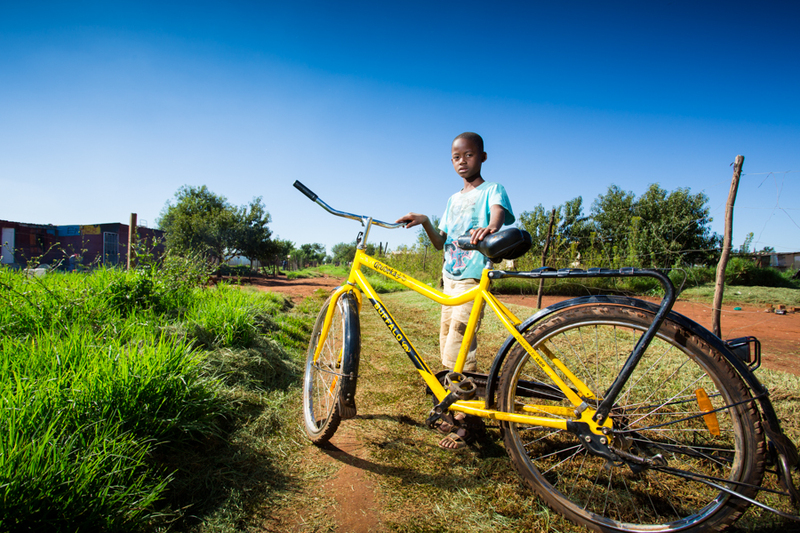 In the short term, bicycles reduce children’s exhaustion from walking to school and help them attend regularly. In the long term, bicycles will help children complete their education, preparing them for better jobs and reducing likelihood of extreme poverty. and improved safety and security of students traveling from and to school. The cost of one bicycle for this program in South Africa is R2,850.00 and includes: component manufacturing, shipping, duty, tax, assembly, delivery, helmets, field visits, field mechanic training, monitoring and evaluation. If you would like to donate a bicycle to our Bicycle Education Empowerment Programme through our secure donations portal, Given Gain click here. The project will be implemented through World Bicycle Relief and Qhubeka (World Bicycle Relief’s programme in South Africa), alongside Qhubeka’s field implementation partner World Vision South Africa. With over 50 years experience in delivering quality child focused, community based, transformational development programmes, World Vision is the largest privately funded international relief, development and advocacy charity in the world. World Vision’s highly trained and experienced staff manage Child Sponsorship Projects locally, and the input of the community is fundamental to the development work undertaken. Motivated by the belief that no child should live in poverty, World Vision works alongside communities to improve the well-being of children, serving all people, regardless of religion, race, ethnicity or gender. World Vision South Africa operates through 20 area development programmes (ADPs) situated throughout the country and supports nearly 50,000 children through sponsorship.